Motorbike brands like Honda, Yamaha, Kawasaki, Suzuki, Ducati, and Harley-Davidson have all evolved from interesting beginings. Little do most people know that before these brands came to existence, they were merely known as a “safety bicycle” back in the late 19th century. These machines were descendants of those mechanical bikes that we now call motorcycles or motorbikes. Today, there has been a resurgence of popularity of Motorbikes like BMW, Honda and recently China has entered the bike market with brands such as Hysong and Zhejiang. In most cultures, motorcycles are one of the primary means of transportation. Especially in countries that are categorized as part of the “developing world”. One reason for this resurgence is the increasing fuel prices and urban congestion on those countries. 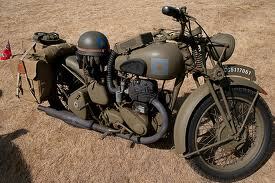 As time moves on owning a motorcycle may be a good solution for your transportation requirements. Likewise, if you plan on relocating to another place without wasting a single liter of fuel, a motorbike moving company can be a viable solution for that. Moving Bikes Only can save you a lot of effort, time, and even money transporting your motorcycle anywhere around the country. So whenever you are looking for a motorbike moving solution for your transport needs, always check their catalogue and make sure to have contact with a business operator who is passionate about motorcycles who can help you in making the decision. With these in mind, Moving Bikes Only has never has been so easy so give the guys at Motorbike Movers a call to discuss your requirements.